Getting 6 Months Worth of Insulin Stolen! A 12 day tour of Mongolia. Chengdu, the home of the Giant Panda! Everybody nowadays has some kind of smart phone, I-pad or Kindle that they use everyday, so why not take this and use it to your advantage on your travels. As nice as it is to think about stepping away from electronics whilst travelling, in reality we all know that this isn’t going to be the case. Here is a list of 5 apps which will make your life so much easier on your globetrotting adventure. This little beauty has got me out of trouble a fair few times. Nobody really likes carrying around a map, staring at it scratching your head and looking like a right tourist. Maps.me is the perfect solution for this. Once you have the app installed you need WiFi to download the map for the area you are in. For example, if in Singapore you can download the Singapore map, if in India and you don’t want to take up too much space on your phone you can download one state at a time, for example Kerala. If you were then to move on to Goa you can delete Kerala, freeing up space to download Goa and so on. The app works offline and does not cost any money at all, you just need to have your location service switched on. This will track where you are on the map without needing the internet, allowing you to get directions using the ‘route to’ and ‘route from’ button. This will give you as estimate as to how long it will take to reach your destination by car, bicycle and on foot. You can bookmark different attractions on the map, such as a nice restaurant you have been recommended, the main bus station and your planned accommodation. You can then find out how long it will take to walk from the bus station to your accommodation a few days before you arrive so you can decide if you need to organise onwards travel. This has been a fantastic help to me on my travels and I couldn’t recommend it enough. If like me you like to take photos of everywhere you’ve been, but don’t like lugging around a big old camera, then Snapseed is for you. I still use an iPhone 4S as my phone and camera and to be honest the camera isn’t brilliant. That’s where snapseed comes in. It is basically a photo editing app which will make the colours pop and stand out, making you look like a professional photographer without a fancy ol’ camera. I know a lot of people are really in to photography and wouldn’t go away without their camera, but Snapseed is something to consider if you are looking to save some space and weight in your bag. On this trip alone I am currently in my 12th country and trying to remember the different currencies and exchange rates can become quite tricky. XE Currency Converter does exactly what it say on the tin. You can select up to 10 countries at any one time on your front page, with the option to change or remove currencies at any time. It will give you the exchange rate from when you were last connected to WiFi and when online the rates are updated every 30 seconds. If you haven’t used WiFi for a couple of days you can assume that the rates haven’t fluctuated too much, unless of course Brexit has happened or Trump becomes President… what a great year it was to travel. This a very useful app to have on your phone even if you don’t use it to book flights. It shows you what time flights will leave, give you a basic idea of the price and show you which airlines fly to your destination. I’d recommend having a look on the airlines website direct because sometimes the prices do differ, Air Asia for example do not include the price of baggage on Skyscanner. Some people will say that when your travelling that you shouldn’t fly, that it costs too much and you should do as much as possible by land. Consider this, Bangkok to Yangon in Myanmar takes 24 hours by bus and will cost around £40, I took a 1 hour flight costing £35, it made sense to me! This is a handy app for a lot of countries in the world, if you like to know you have a place to stay before you arrive in a new destination. It’s hasn’t been useful at all in India as there is hardly any accommodation online, but in South East Asia it was a great help. You can then bookmark your hostel on maps.me, find out how long it will take to get there, convert the price to any currency in the world and then take a great Snapseeded photo of it! These are just a few of my favourite apps I use whilst away, making my life a lot easier and allowing me to focus on where I am and take everything in. Let me know if there are any great apps that I have missed and can add to my collection. This entry was posted in backpacking, Diabetes, Travel and tagged best currency converter, best map app, best travel apps, good travel apps, hostelworld, maps.me, skyscraper, Snapseed, south east Asia travel blog, top 5 travel apps, top travel apps, travel apps, travel blog, travel blogger, travelling, xe currency converter, Xerox. Bookmark the permalink. Check out and follow my Diabeticdiscoverer Facebook Page for my latest blog posts and photos. 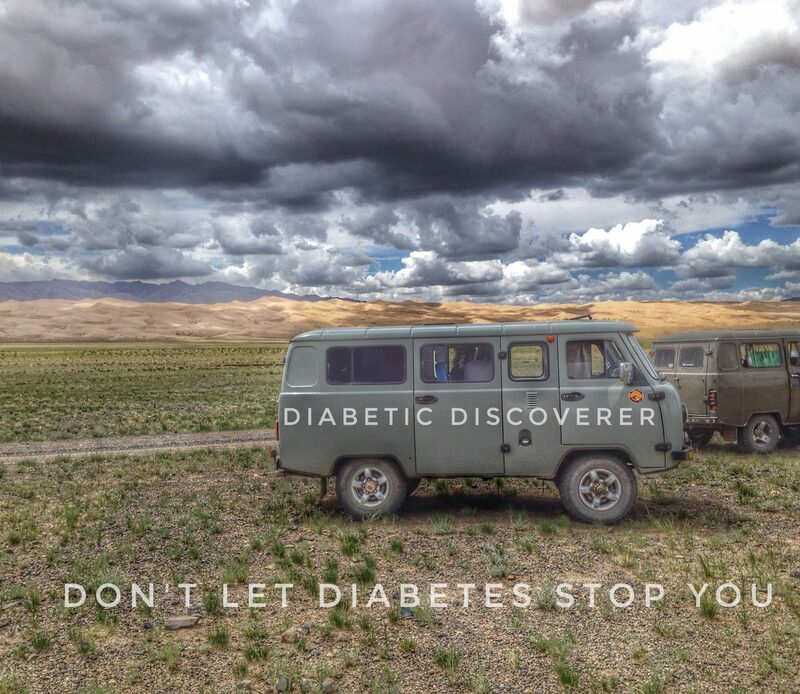 Enter your e-mail address to follow my travels and find out how Diabetes isn't stopping me. DON'T LET DIABETES STOP YOU.